﻿Welco﻿me to Clyde's Corner Bar & Grill, in beautiful downtown Beldenville, Wisconsin. Whether you come by motorcycle, snowmobile, 4-wheeler, horse or car, you'll be greeted with friendly, small-town service and treated as a local. We offer a variety of domestic and premium beers and premium spirits. We are constantly updating our selection, so please stop back often! Reserve Clyde’s upstairs for your special occasion. 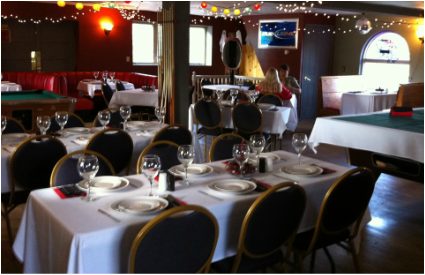 With seating for up to 50 people, you name it and we can make it happen! Please contact Jerad at (715) 273-5607 for availability and reservations. Bartender available upon request for an additional charge. 15% gratuity will be added to total bill.